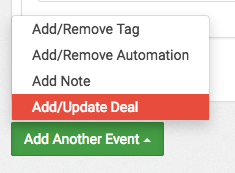 To begin, click the green Add Another Event button and select Add/Update Deal from the pop-up menu. Under Deal Info, give your Deal a Title. 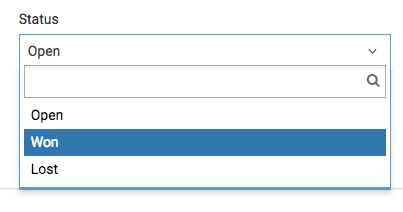 Set the Value of the deal and select the currency type. 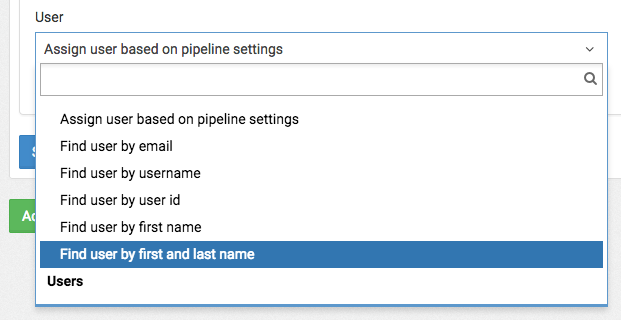 Select the Pipeline you want to add this Deal to. 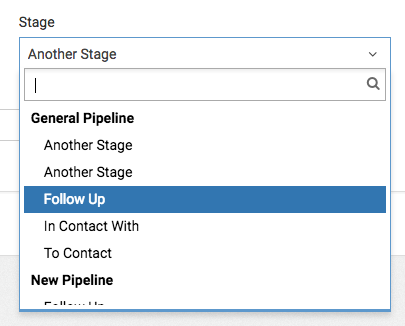 Select the Stage within the Pipeline. Select the Status of the Deal. Here you can select the user to assign the Deal to. To finish, click the Save button in the bottom left-hand corner of the event.